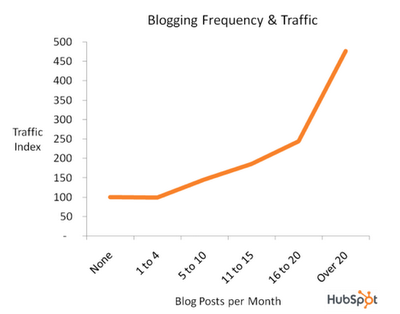 Many companies toy with the idea of starting a blog, but aren’t sure what resources it will require—and if they can keep up with the demand for fresh content. 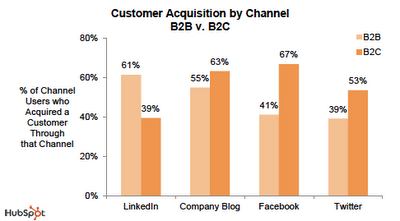 Followers expect fresh, new content regularly—but how much is enough? 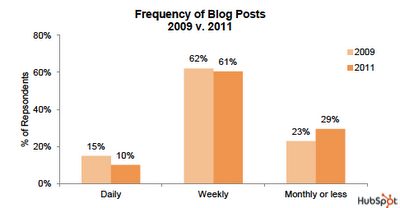 In the 2011 State of Inbound Marketing, HubSpot reports that most bloggers post weekly. So yes, frequency matters. But remember that frequency alone isn’t enough—the content must be relevant and accessible to keep your readers coming back.